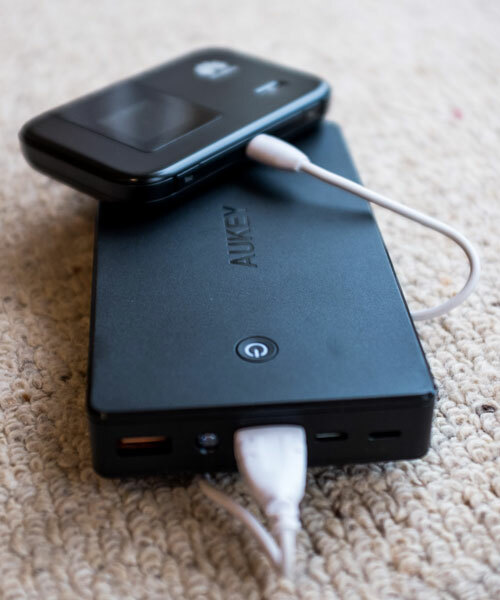 Aukey sent us their new PB-T10 PowerAll External Battery Charger and with several family members that can run a smartphone flat before lunch time, there were no shortage of volunteers to take it for a test drive. The PB-T10 is one of the larger USB batteries available at a 20,000mAh. That’s good enough ti fully charge an iPhone 6s 7.5 times, a Galaxy S7 4.4 times, or an iPad Air 1.5 times. It measures 149.5 x 82.5 x 21mm and weighs just under 400 grams. Its dual inputs mean it can be charged using the usual micro USB or alternatively with an Apple Lightning cable too. Helpfully that may mean one less wire to pack for iPhone and iPad owners. Quick Charge 3.0 employs Intelligent Negotiation for Optimum Voltage (INOV), an algorithm which allows your portable device to determine what power level to request at any point in time, enabling optimum power transfer while maximizing efficiency. It also supports wider voltage options, allowing a mobile device to dynamically adjust to the ideal voltage level supported by that specific device. As well as re-charging smartphones and tablets on the go we love using a battery for our mobile WiFi hotspot using our MiFi (check out our travel tech here) and it provides days of use. In my sons words, when he packs the Aukey “I’m taking it because it’s basically unlimited battery for me”. And I can’t put it much better than that. The Aukey has a 24 Month Warranty and is available now from Amazon for around £28. 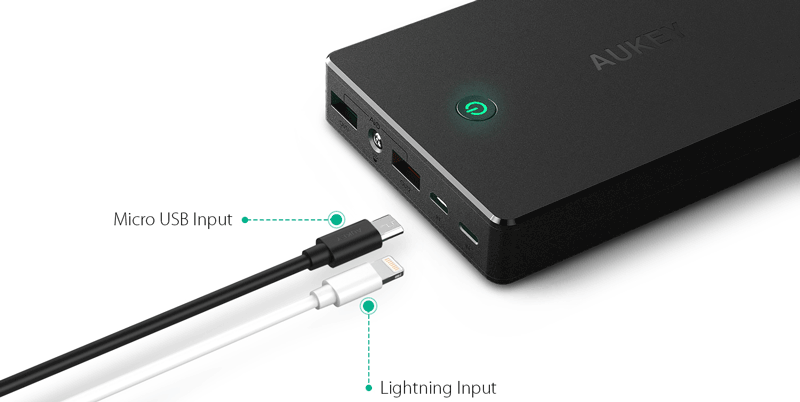 Be the first to comment on "Useful Gadget of the Week: AUKEY PB-T10 20,000mAh Quick Charge 3.0 USB Battery Charger"